The recent scrutiny on safety issue is urging the Facebook team to adopt new norms to protect the privacy of its users. They have already rolled out the newsfeed algorithm changes but an implementation on a full-fledged scale is yet to be released. 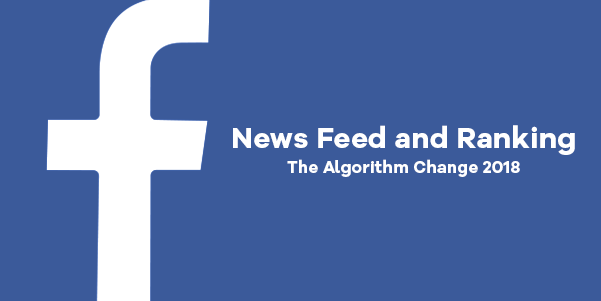 Now the question is, How are this Facebook Newsfeed Algorithm changes going to affect the marketers? Unlike Google AdWords, there is no bidding war going on between marketers in Facebook. Perhaps this is the primary reason for the priority given to Facebook by marketers all around the world. But with the recently introduced norms, we can say that Facebook is sailing towards Google Adwords, and this is a concern among marketers that needed to be addressed. Mark Zuckerberg’s recent announcement about prioritizing “user engagement” was clearly intended to reduce contents from brands and give focus to friends and family. This will make the situation more difficult as getting organic contents to the users will be a task for marketers. Nothing for now, but according to Facebook News Feed webinar, Facebook is getting ready to implement major changes to its algorithm. The most important one among them will be Ranking. Yes, just like Google, Facebook is also going to tweak its news feed based on ranks. What factors will contribute to ranking? Like google’s algorithm, user-inputs will be the key player here. The factors like page likes, comments etc will get counted, as these are the actions of a user based on his interest. According to Facebook, the interactions with people in your network will be considered more valuable than a page. It means that posts from friends and family will be prioritized and will get displayed in the top positions. Apart From these, Facebook will also be considering factors like time spent on the contents, relevance etc. So when a user visits Facebook, the algorithm will take these factors and arrange the post accordingly in the user’s news feed. How to be in the game? Don’t let yourself kicked out since Facebook is altering everything based on the perspective of the user. Even though Facebook is the most rated social media platform, giving the users the best experience is a matter of prime importance as this really affects them, thus these changes will definitely get implemented. The only thing we can do is act accordingly, How? Even with all the changes, Facebook is still the largest social media platform, so making the algorithm change work for you is very important. Apart from basic strategies mentioned, it is always practicable to build your own strategy, work it out, if it didn’t work then approach differently, that’s what online marketing is all about, Strategy and the right approach. It may take time but it’s definitely worth your while.